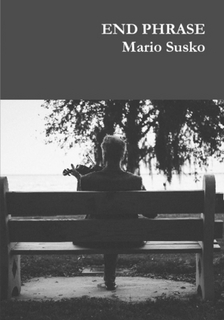 In today’s High Window preview we are highlighting the work of Mario Susko, an internationally renowned Croatian poet, some of whose poems in English we published in THW3 September 1, 2016. We’re pleased to announce also that The High Window Press has now published End Phrase, a selection taken from Mario’s work over the last decade. You will find below two poems taken from it. We hope that they will whet your appetite and that you will agree with Fiona Sampson that Mario Susko is ‘a poet of rare seriousness’. Copies are available here. 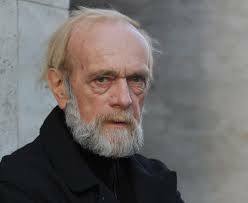 Mario Susko, a witness and survivor of the war in Bosnia, received his M.A. and Ph.D. from SUNY Stony Brook in the 1970s and moved back to the US in 1993. A three-time Fulbright scholar, he has taught at the University of Sarajevo, but has lived more than half of the past 36 years in the US. He is currently an Associate Professor in the English Department at Nassau Community College in Garden City, NY. of tin soldiers I used to play with as a kid. when they proclaimed: This war ended all wars. gone, making them look as good as dead. horses, their head dangling on a shiny wire. and linking up with the encamped mercenaries. to devise that would save us from being overrun. in the drum of a discarded washing machine. of us in a combat line facing the front door. until we both fell exhausted and said: Truce. to be part of anything else but itself. comes to the power of knowing.